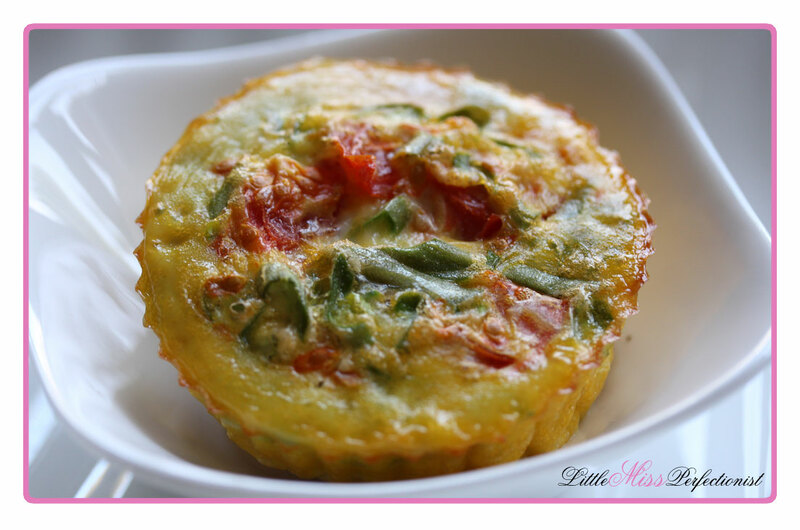 Little Miss Perfectionist: Homemade Baby omelette recipe! I used very basic ingredients and popped it in the oven while she was taking her nap so it would be cooked and cooled off by the time she woke up. 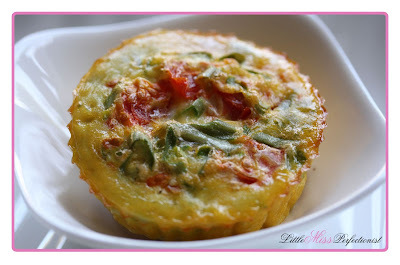 I used a muffin cavity to cook this is so it's the appropriate lunch size for my kid. Preheat the over at 35 f. I just chopped up my cherry tomato and green bean in tiny pieces then whisked them in to a small measuring cup that contained the egg. When all is whisked together nicely, just pore into the muffin cavity and place in oven for approx 15-20 minutes. When it cooled off, I chopped them into small bite size pieces for my daughter, and voila! Homemade yummy mini Baby muffins!